The 'BRE' Series is the Newer / Updated Electronic Version of the 'BR1' Series. BRE enclosed construction with front facing dial and knob. 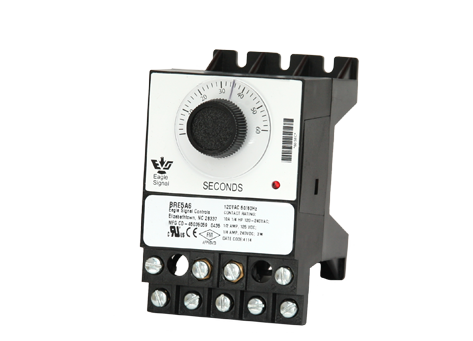 The BRE timer has a heavy duty terminal block, with 9 screw terminals that will readily accept 16 gauge wire commonly used in industrial circuit wiring.